Now that the Christmas and Hanukkah shopping season has officially begun, you may be anxiously wondering how to whittle down your gift list. The good news is our Canopies and Tarps team has the answer. So to make it easier on all of you frenzied gift givers out there, we’ve assembled a list of great options. It starts with ourpop up tents. Our pop up tents would make great gifts forautomotiveandNBA fansalike. Thats because our collection includes pop up tents outfitted with all of the best automotive brands and NBA teams logos. For example, you could purchase a 10 x 10 Built Ford Tough pop up tent and pair it with one of our poly truck tarps and a set of ball bungee cords. You could also combine one of our NBA pop up tents with a matching tailgate folding chair. While we are on the topic of pop ups, ourTent Kitswould be ideal for the entrepreneurs on your list. The kits include everything savvy salespeople need to set-up a fabulous display at an outdoor flea market, festival or other marketplace style event. So there is no doubt that the entrepreneurs on your list would love one. Do you know of someone whos more of a gardener than an entrepreneur? Then ourPortable Greenhouse Kitsmay send his or her heart aflutter. The kits come in various sizes and designs. The largest is 22 x 24 x 12 and comes with a pair of roll-up door kits. You could pair it with gardening supplies like heirloom seeds. We havent forgotten about the four-legged folks on everyones gift list either. The perfect gift for them is ourDawg-E-Tents. They are adorable, lightweight, portable houses made with two-tone, water resistant canvas. The Dawg-E-Tents come in two sizes and would look great as part of large gift combination. 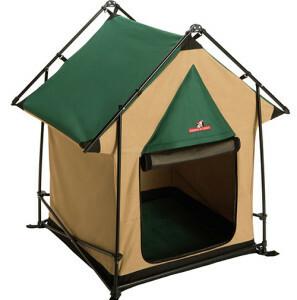 Other items to add to the combination are our pet beds, kennels and kennel shade covers. To learn more about these pop-up tents and other gift items, pleasecontact usat (877) 811-3911. This entry was posted in pop up tents and tagged canopies, pop up tents, tents on December 12, 2013 by CanopiesAnd Tarps.